WOW, CAN'T BEAT THIS DEAL WITH A STICK!! ANOTHER GREAT PROPERTY AT AN EVEN BETTER PRICE! 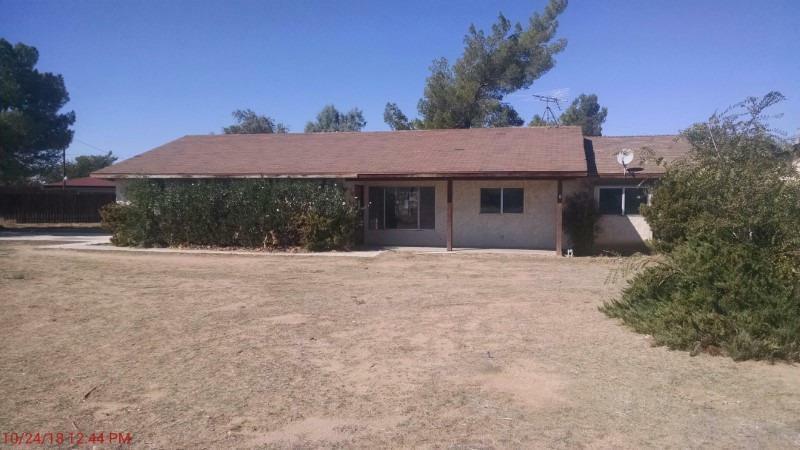 THIS 3 BED 2 BATH APPLE VALLEY HOME FEATURES OVER 1, 156 SQFT ON A HUGE 19, 150 SQ FT LOT OF LAND!!!!!!!!!!! ALL FOR UNDER $160, 000! DON'T MISS THIS UNIQUE OPPORTUNITY TO OWN YOUR OWN APPLE VALLEY HOME AT AN UNBEATABLE PRICE!!! Directions: Go East On Bear Valley To Navajo Rd, North To Nisqually Rd, East To Saint Joseph, Property Is On The Right.